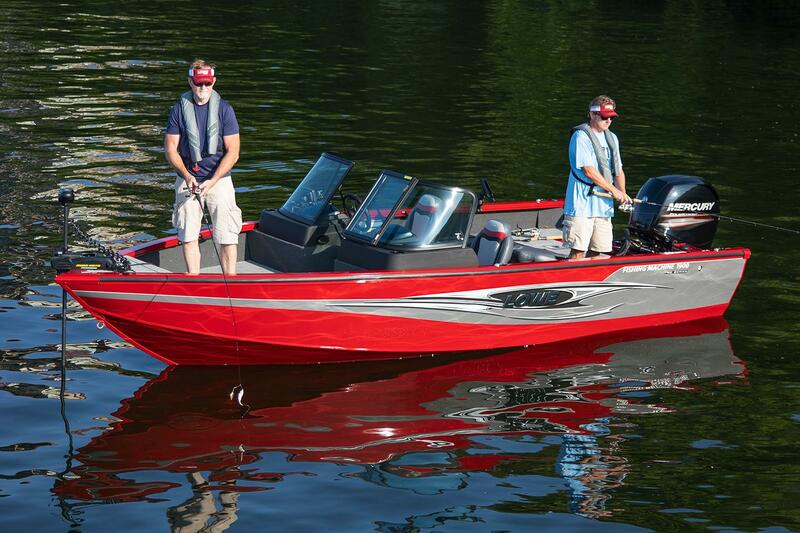 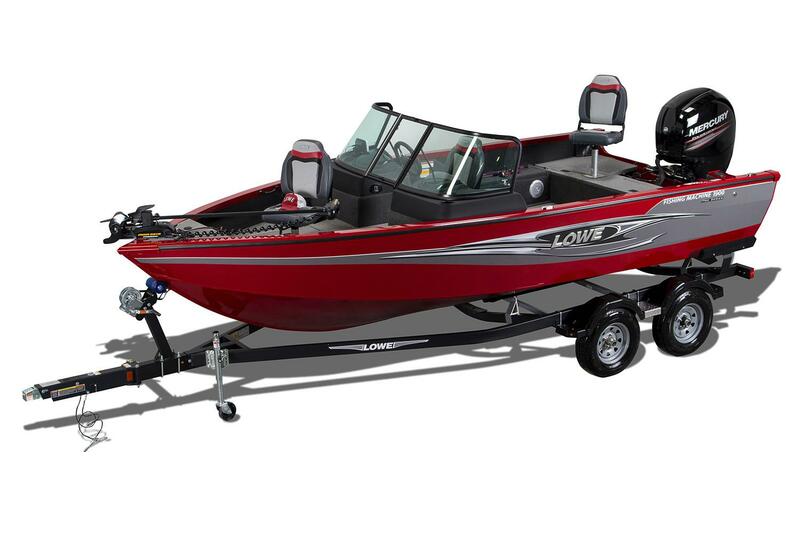 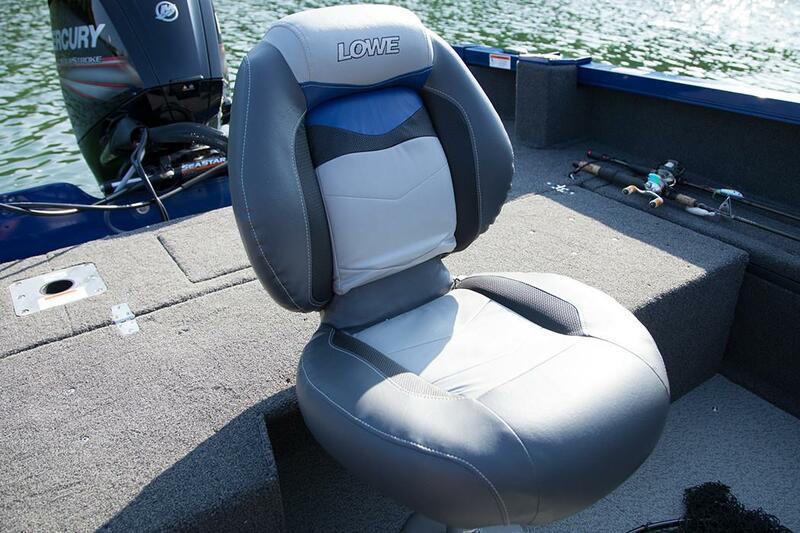 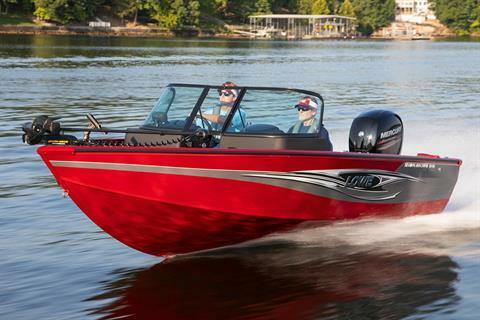 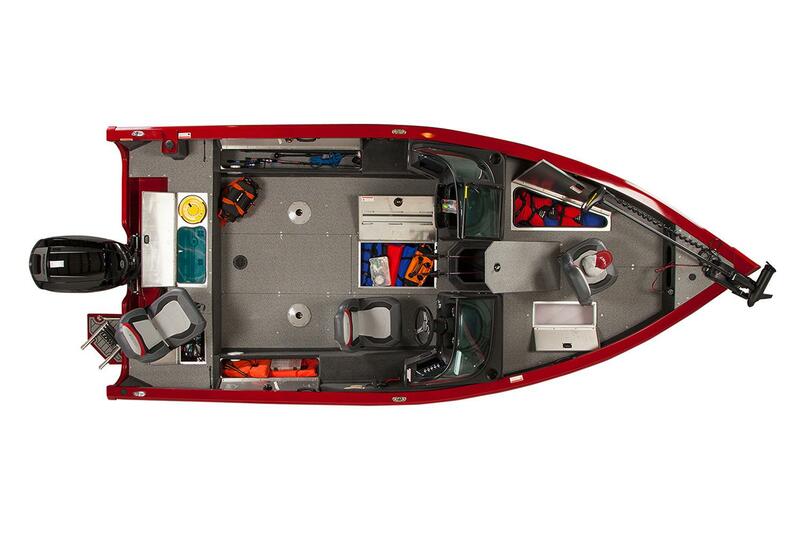 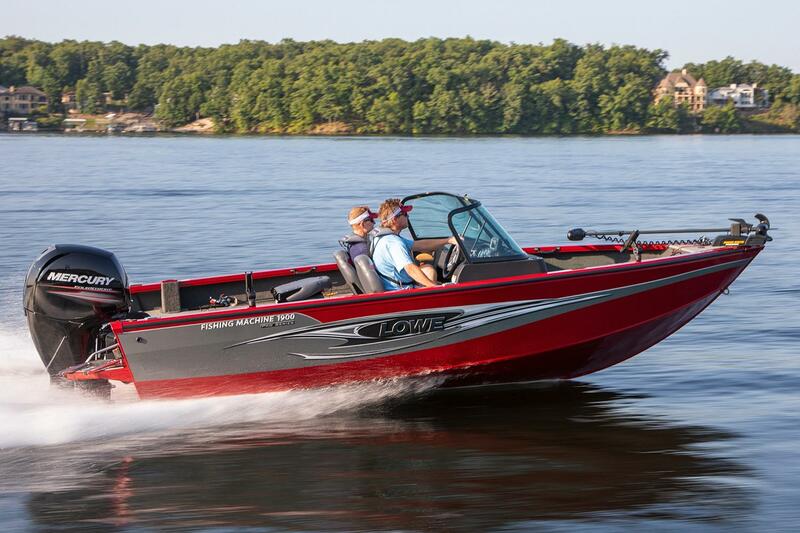 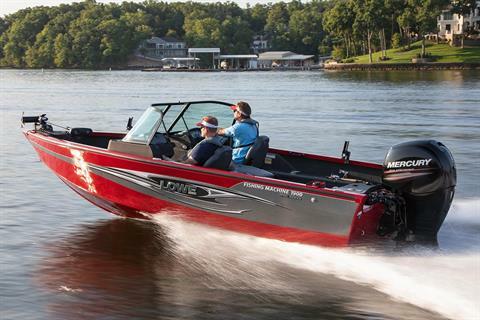 From the tournament trail to fish scales, the Lowe FM 1900 WT provides anglers a commanding walk-thru fish boat package featuring both bold styling and incredible fishability. 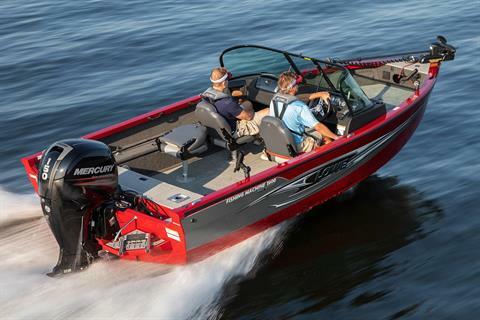 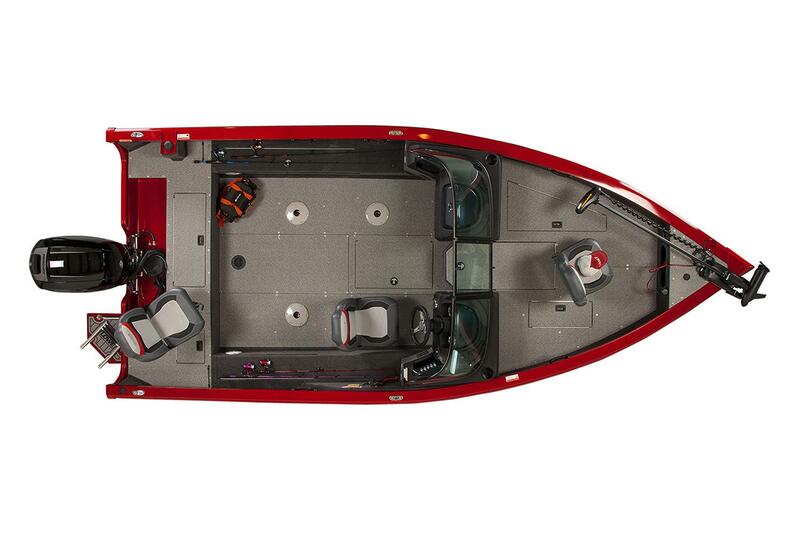 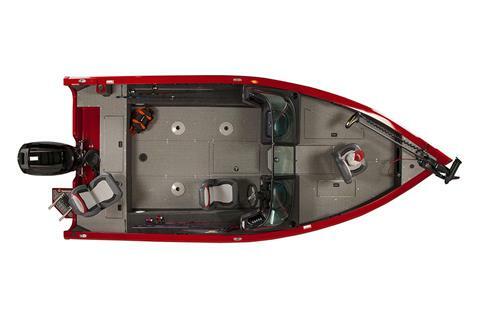 Designed to be a tournament-class performer with unbeatable quality, this full-sized fishing machine flagship is ready to take on the big waters. 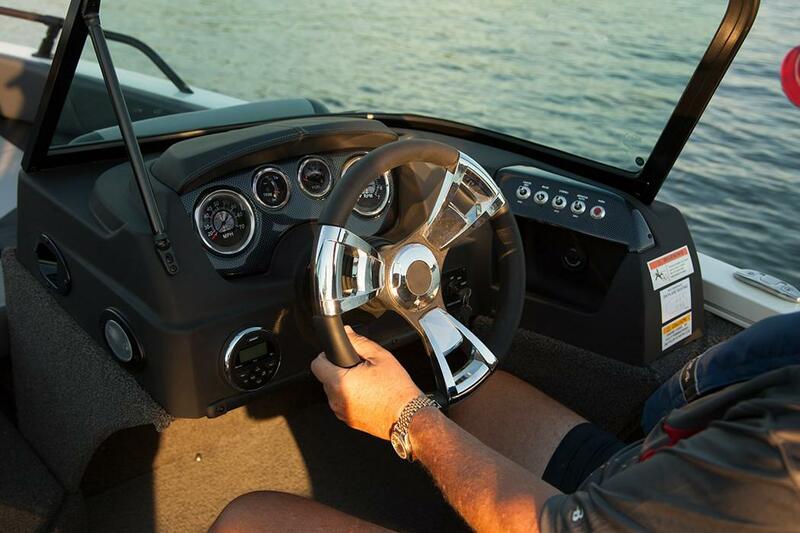 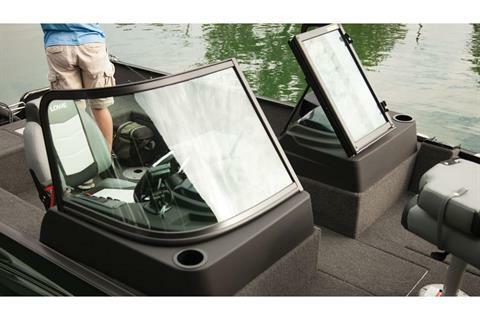 The FM 1900 WT features a durable aluminum deep-V hull and a smart walk-thru windshield for easy access to the bow and stern fishing decks, each with a large aerated livewell. 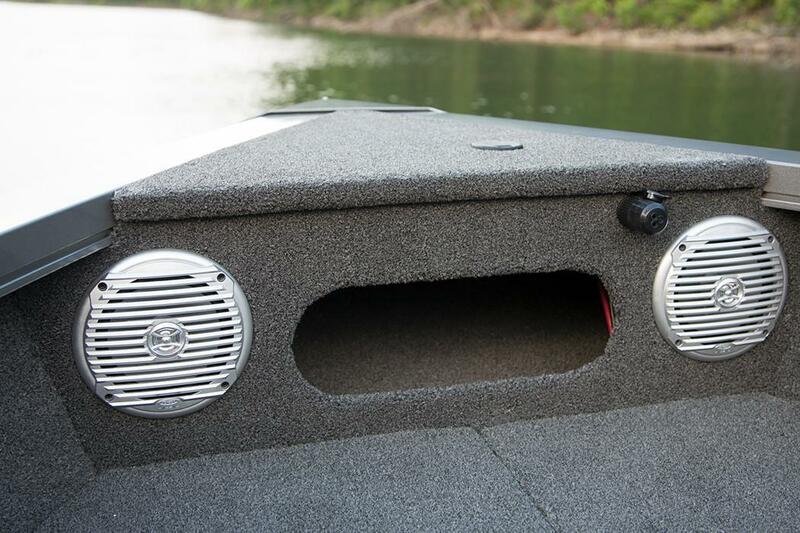 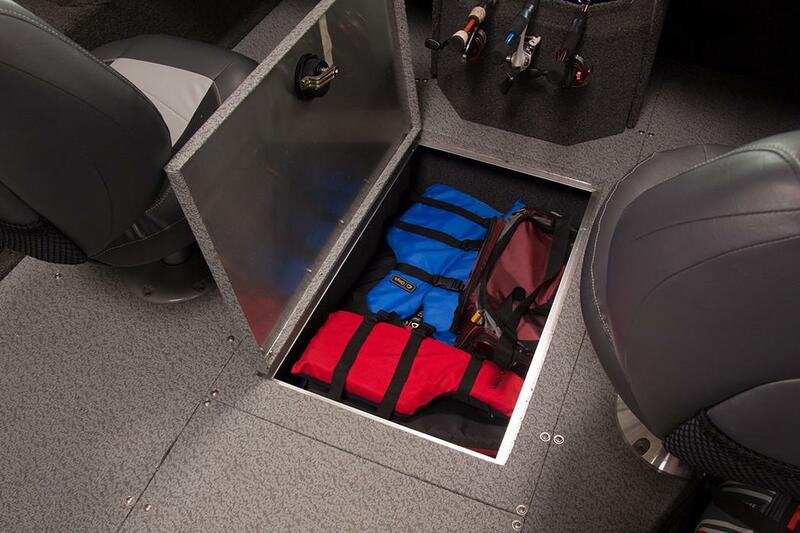 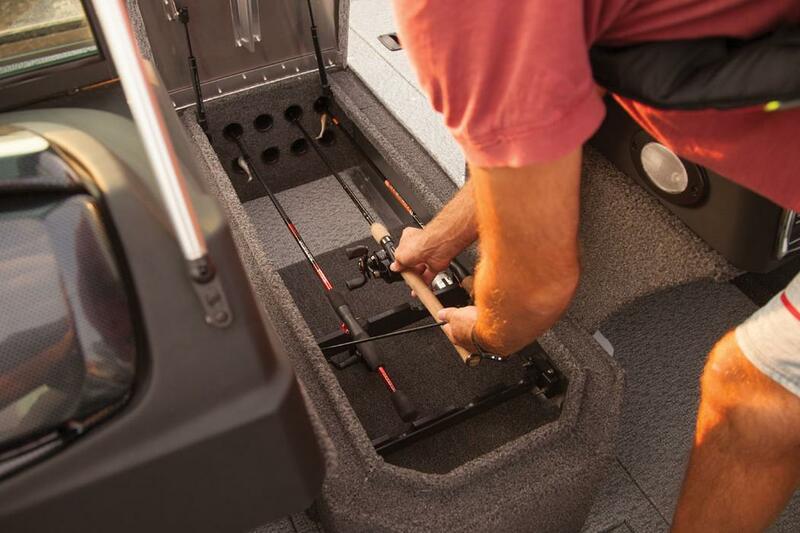 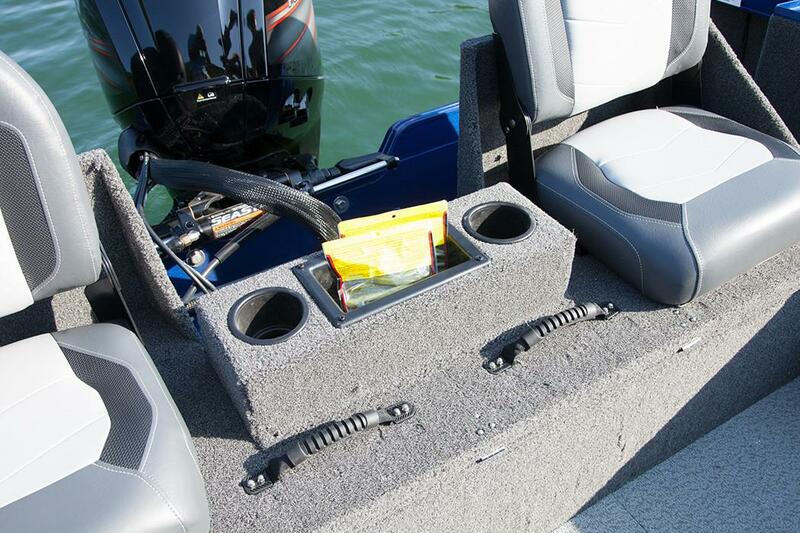 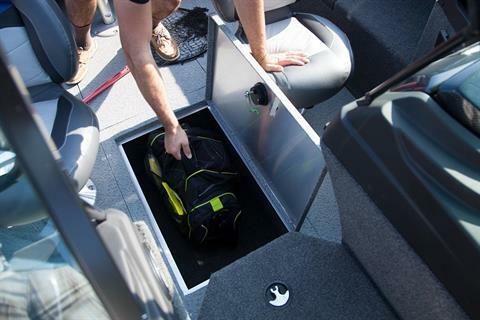 Take all the rods you want and easily store up to 10 total rods in its lockable center and side rod lockers. 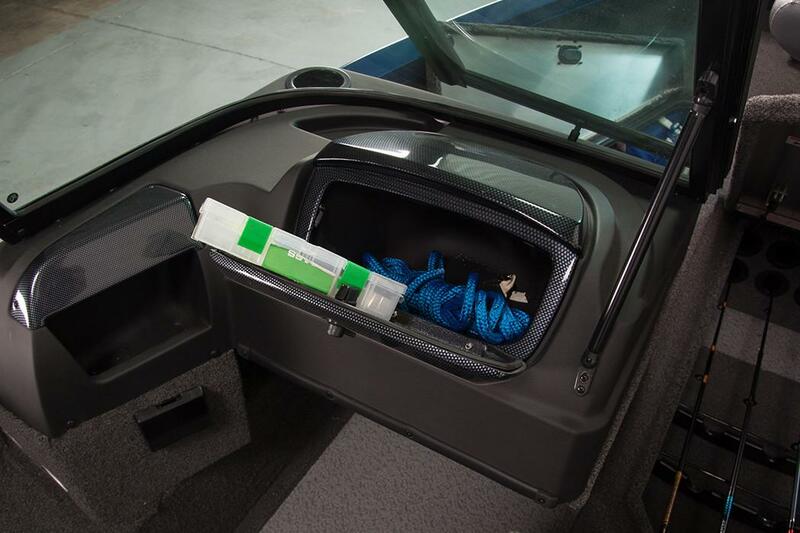 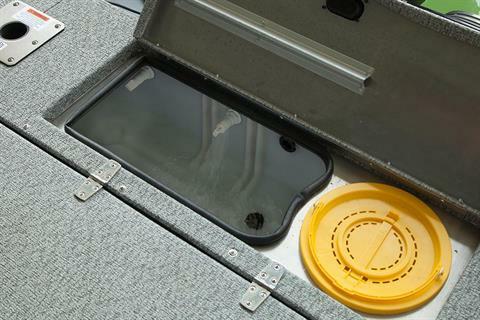 Massive built-in storage compartments including an in-deck storage space keeps your gear safe and stowed. Available with an array of quality fishing options including your choice of optional Lowrance® fish finders, MotorGuide® or Minn Kota® trolling motors, Mercury® power and Traxstech® fishing system accessories, the FM 1900 WT will ramp up your arsenal even further.